Stars Over Washington: President Obama Declared Victor with a Leo Moon Rising! President Obama Declared Victor with a Leo Moon Rising! Congratulations to President Barack Obama! Last evening at 11:12 ET, TV's Chuck Todd declared President Obama the victor in the fiercely fought 2012 Election, and several new congress men and women will be taking Capitol Hill seats in the New Year. Yet with Obama-Boehner gridlock in Washington still a distinct possibility, the Republican morning-afters of "we must find our identity" whines and bemoanings caused by the shellacking Mitt Romney and Paul 'Austerity for the Working Poor' Ryan took as the president reached and surpassed the 270 electoral college votes needed to win bring me little if any assurance that the GOP has learned any lessons at all. Like Mitt Romney caught in a lie, the Republicans will probably do what they're famous for when they should be doing something better: double down on their madness. the party is marginalized already with 'not enough angry white voters' so it may be astounding to watch if they insist on continuing down their uncooperative path which leaves so many Americans in the lurch. Now this I must ask: what happened, Wisconsin? A GOP Retakes State Senate and Full Control of State Government headline bodes ill for the people, imho. Haven't Wisconsin teachers and other public sector workers suffered enough? Apparently not though I'm assuming that there's no hint of a re-count needed in the state though not all votes across the country are tallied and there may be legal challenges and re-counts yet with voting Mercury Rx as of about 6:00 pm EST last evening. Still, it would seem that my guess that yesterday's VOC Moon showed that voters (Moon = the people) had made up their minds and no further scurrilous ads or arguments could sway them away from President Obama whose natal 4th house Moon @3Gem21 was opposed by November 6th's Mercury Station Retrograde and will be again once Mercury turns Direct and re-opposes that degree. Like me, you probably heard some "heart vs head" talk from pundits and reporters as the election coverage proceeded...heart = Moon, head = Mercury. And yet, Mercury squares Neptune denoting confused thinking, a need to avoid harsher realities (like the Ryan Budget Plan? ), and probably some deceptive voting machines in the political brew. Congratulations to Senator-Elect Elizabeth Warren! And as Jon Stewart called it on The Daily Show last night, this was the "Re-Presidenting of America" with Chuck Todd's pronouncement occurring as the public's Moon @16Leo55 arose at 11:12 pm EST (ASC 17Leo19) along with Barack Obama's natal Ascendant (his nibs himself.) A Moon in Leo is a happy, shiny thing! ASC 17Leo18; Hour of Mercury (the voter!) with Mercury Rx @4Sag18 in 4th house, the Foundation of the Matter; MC 8Tau09 which places President Obama's natal Neptune at IC 8Sco09 (not so stable a portent yet potentially inspiring for him); Sun-Mars = Mercury: desire to bring plans to realization; ready for action; a thinking leader or fighter in a struggle. (Ebertin; any, all, or none may apply); challenger Mars @22Sag33 is OOBs of the Earthly plane and on his own; Sun-Moon angle = 271 degr 45 mins = 3rd quarter, the 'crisis in consciousness' phase. 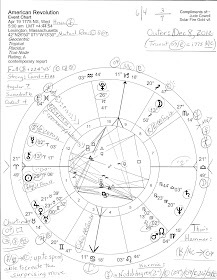 Chart-ruler Sun makes no applying aspects of any kind (though it does square the ASC--2A09) so its sign and house position are all-important: Sun @15Sco09 (the Eagle Point and the degree of Thomas Jefferson's natal Pluto (just thought I'd toss a little historical footnote in!) is posited in 4th house of Homeland (past time for "nation-building" at home! ), Domestic Scene, and Real Estate, an industry which seems to be healing now unless there's interference down the road. You know it would have been amusing to me how the GOP campaigned on "Obama will turn America into Europe" nonsense when it's the Romney-Ryan Budget Plan that determined to enforce austerity upon the American people as governments and banking houses have done in the EU. A wacky argument and I suppose the American people were expected not to notice the craziness of it! But we did. Now the horoscope shows a bunch of squirrelliness around the 8th cusp (8Pis57) of Shared Resources, Debt, Credit, Corporatism, etc with Jupiter ruling and Neptune sub-ruling the confused, changeable sign of Pisces. Plus, transiting *Uranus @5Ari09 is posited there near the 9th cusp, a karmic spot for the planet of sudden upsets and uprisings. And with the 11th house Jupiter Rx in Gemini and Neptune Rx @00Pis22 in 7th house, there may be just what many economists and mundane astrologers are predicting ahead: more financial scandals and loss thanks to vulturing plutocrats with 2013 in the crosshairs. After all, America's natal Pluto-Chiron midpoint of oppression and disenfranchisement @8Pis50 conjoins this 8th cusp along with our national Ceres (grains, foodstuffs, security issues, nurturance) so the rest of 2012 may be less joyous than everyone would prefer since the plutocrat-elite class are still around to bedevil us. Another significator of financial shadiness (perhaps campaign use of funds will be questioned more as the weeks go by) for Mr. Obama's second term going Forward! 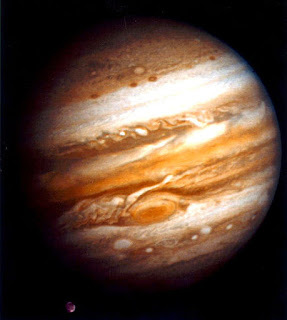 is the so-called 'hidden square' (256 degr) between Jupiter and Neptune which last met in Great Conjunction/s three times through 2009 is creative yet may indicate unstable tendencies, overextending oneself credit-wise, and the rejection of social burdens; gullibility is an issue as the ideas of others are too easily adopted. Hopefully, with his re-election, President Obama won't cave so readily to Tea Party demands promoted by the GOP and will stand up for the social safety net of the American people. Yes, the Jupiter-Neptune duo make quite a 'confidence team' of grand plans yet that's just what Americans and markets need most right now--confidence that our economy will continue to improve under the presidency of Barack Obama--and all obstructionists of the people's business should go ahead and take the hindmost! If you're determined not to govern, then get out of politics. 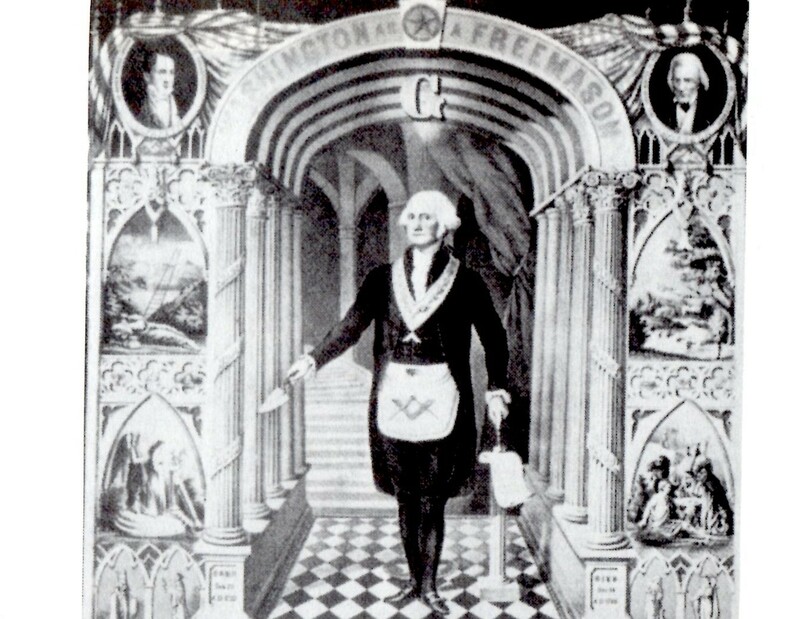 *Uranus in Aries is described by Reinhold Ebertin as, "Utopians, fanatics, blind zealots." I leave it to your discretion as to whether Uranus in Mars-ruled Aries describes certain factions in one party more closely than it describes others. Plus, on Election Day 2009, Saturn opposed Uranus. Now with the transiting Saturn-Uranus inconjunct (150 degr), we may expect that further adjustments will be required between status quo Saturn and progressive Uranus as priorities concerning our obligations are decided upon, and holding on to old concepts becomes more and more ineffectual.